It has been nearly two years since the Golden Jubjub Voice was created. Ruby and Indigo are now in seventh grade, soon to graduate from Elementary School. The Voice, however, has barely grown at all. It remains as unpopular as it was two years ago. The seasons roll onward, autumn to winter to spring to summer and eventually back to autumn again. The wheel of time turns, a shifting, changing kaleidoscope. Now, as spring fades and summer blossoms, what is to be the fate of the Voice? "Budget cuts again," Principal Droning the blue Buzz leaned back in his office chair and sighed. The faint gold rays of the morning sun touched upon his aged, wearied features. The lines and wrinkles on his face from the constant stress and demands of being an Elementary School Principal. "This one is big. We'll have to let something go." "We could cut from the cafeteria," suggested Assistant Principal Stevens the blue Chia. Mr. Droning sighed again, "They've been cut enough. They're barely getting by. What if we cut the music program?" "They're barely getting by, too," said Mr. Stevens, playing with a glass paperweight on his boss's desk. "We could cut the newspaper." "But that newspaper is an educational experience for the children!" objected Principal Droning. Mr. Stevens nodded. "An educational experience that no one is reading. At this age, they think newspapers are dorky. Mr. Droning, sir… it's the only way." Mr. Droning sighed a third time, grabbed his paperweight out of Mr. Stevens's hands and started to turn it slightly so its many facets would reflect the sunlight. Life was hard. "If it's the only way… I'll do it. They have a meeting this afternoon. I'll announce it to the public then. In the meantime, the editor should be the first to know. Call Indigo Musician down to my office." "Cut from the newspaper?" 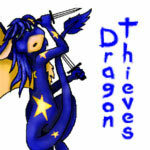 Indigo Musician the blue Gelert editor cried. Mr. Droning flinched at the dismayed sound of the young Gelert's voice. "No one is reading it, Indigo. It costs money to buy the paper and ink to print these newspapers out. These are tough economic times and, as principal, I have to make the best decision I can." "What If I could persuade them to read?" Indigo asked frantically. Anything to save the newspaper she had created so long ago. "All I need is a little time, Principal Droning. Give me four weeks and I'll blow the roof off this school!" Principal Droning thought for a moment. "Four weeks, Indigo. And not one day more." "Oh thank you, thank you, thank you, thankyou!" The Gelert sped out of the room like a shot, knees weak with relief. That afternoon, at the newspaper club meeting, Indigo Musician let her reporters, photographers and staff members know what was going on. "The people just aren't interested in news anymore," she said. "We're finding more and more newspapers in the recycling bin, untouched. If we keep this up, you're all getting pink slips!" My name is RubyRainbow333 the rainbow Uni, the star reporter of the school newspaper, The Golden Jubjub Voice. The Golden Jubjub is the name of my school. "We need to give them a reason to read!" Indigo ranted. As the editor and founder of the paper, she loved it with a passion. It was her brainchild, created in a time when the Golden Jubjub needed it most. "We need something that will spark the people's interest. Like… a human interests piece!" "Wouldn't it be a Neopets interest piece?" I asked. "And isn't that just another name for a gossip column?" But there was no stopping Indigo. 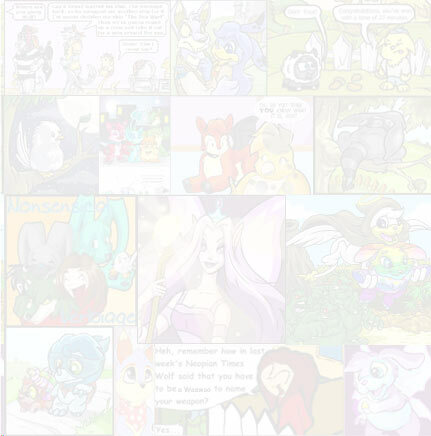 "Neopets love to read about what's going on around them. They want to find out what their peers are up to! And you're the most trustworthy writer I have, Ruby." "You want me to be a gossip columnist?" "No, no, no! Not a gossip columnist! You're still a reporter. You're just reporting on a different subject: the world around you. I won't make you do anything dishonorable." I paused. A mysterious feeling was bubbling in the pit of my stomach, like a foul witch's brew foaming and eating away at my insides. This is never going to work, said a voice inside of my head. Just say no. You'll help save the school newspaper! said a different voice. You'll be helping your friend along the way. Why not go for it? But what ever happened to untainted, honest journalism? It'll still be honest. Perhaps even more so. So many conflicting emotions. All I wanted was for her inner battle to be over. "Okay, Indigo," she said. "I'll do it." 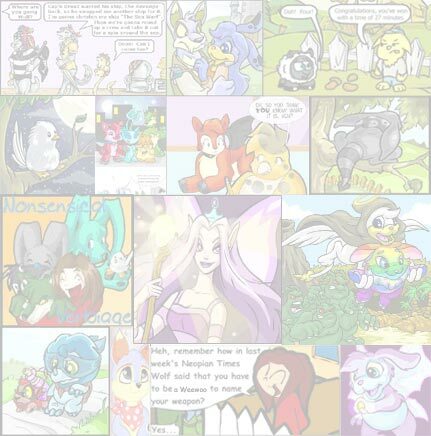 "Your first Neopet interest piece will be about Eliza Cottontail the green Cybunny. Word around the school has it that she failed her last math test. Our class treasurer failed a math test! This is big news, Ruby." That feeling was eating away at my insides again, but I quickly suppressed it. "So what do you want me to do?" I asked quietly. "Ask her about it. And don't forget to record every minute of the conversation with your trusty recorder," Indigo said, holding up my portable tape recorder. The same tape recorder that had uncovered a grade scandal when the Voice was founded. I hated for it to be sullied in such a manner. For the cold, ruthless sort of journalism that could taint the Voice for the rest of its short life. But what could I do? I had to save it. The Cybunny just sat, face expressionless. "Not much, I guess." "How'd your math test go?" I asked in an off-hand sort of manner. "Why do you care?" she snapped. "No reason," I said casually. I'm pretty good at lying, I thought to myself. "Why? Did it not go well?" Suddenly, Eliza broke down in tears. "No! It didn't go well! I got a 52%, Ruby! The class treasurer got a 52%! I'm a failure! I'll probably be kicked off the student council! I'll… I'll…"
"Nothing." Eliza wiped her eyes with a white, velvety paw. "Just forget you heard that, please." I trotted off gratefully, the tape recorder still going in my pocket. "Good work, Ruby," Indigo said, gazing proudly at the latest issue of the Golden Jubjub Voice. The headline: "STUDENT TREASURER FAILS MATH TEST". Just looking at the article I wrote, the quotes I recorded made my stomach threaten to revolt. I wanted to say something, anything to stop the dishonesty. Yet it seemed my mouth was glued shut. Something in my mind said, She told you to forget about it, RubyRainbow333. Why is it haunting you, then? Why can't you seem to stop thinking about it? I saw Eliza in science class that day. "How's it going?" I asked in that same poisonously casual manner. "Again, why do you care?" The look she gave me was even more poisonous, as noxious as snake venom. After a pause, she said, "If you really must know, I was kicked off of the student council. The people impeached me. They said I was lying to them about their money, which is ridiculous. I'd never lie." She didn't speak to me for the rest of the class. I didn't blame her. I wanted to crawl in a corner, to hide from all of the horrible things I had done. Yet there was no hiding from my inner guilt. The Voice was going down, and taking me down with it. I could feel it swirling like a whirlpool of triumph and defeat, of truth and lies. Swirling, ever swirling in its mighty wrath. The Voice was no longer the sweet melody Indigo had created it to be. Instead, it had turned bitter and shadowy, hiding all honesty and veiling all truth. That Voice sang, harsh as a crow's call in the dead of night. It sang a song of wickedness and hatred. It spun downward, water lapping at my eyes and ears. I knew that I had to fight it. If I didn't, I would drown. "There are a few legends about that statue. Only one has any basis in fact, as far as I know..."
MiracleStar hadn't taken much convincing to let us all go to the Lost Desert for a bit. She locked up the house and we were off. "You expect us to willingly climb Terror Mountain, see the Snow Faerie, for nothing more than a few items!"